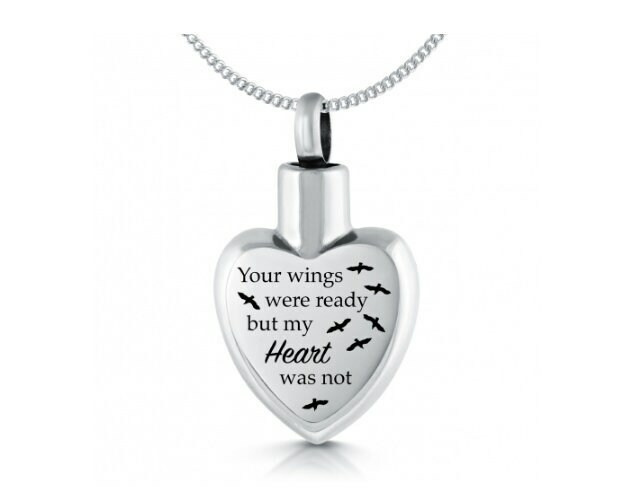 This stainless steel ashes locket necklace features a unique design on the front that reads 'You wings were ready, but my heart was not', with birds. 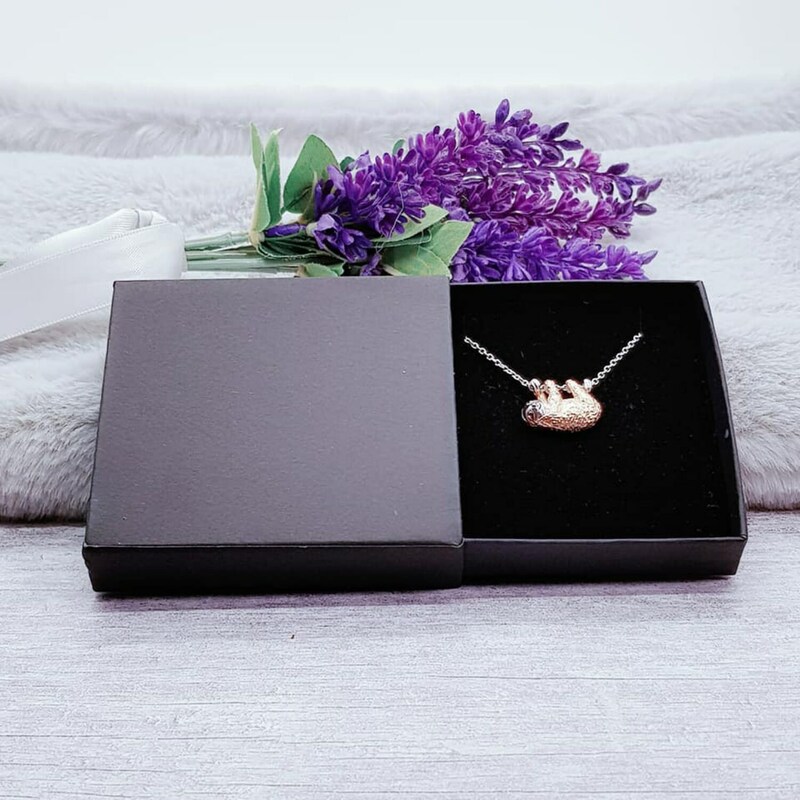 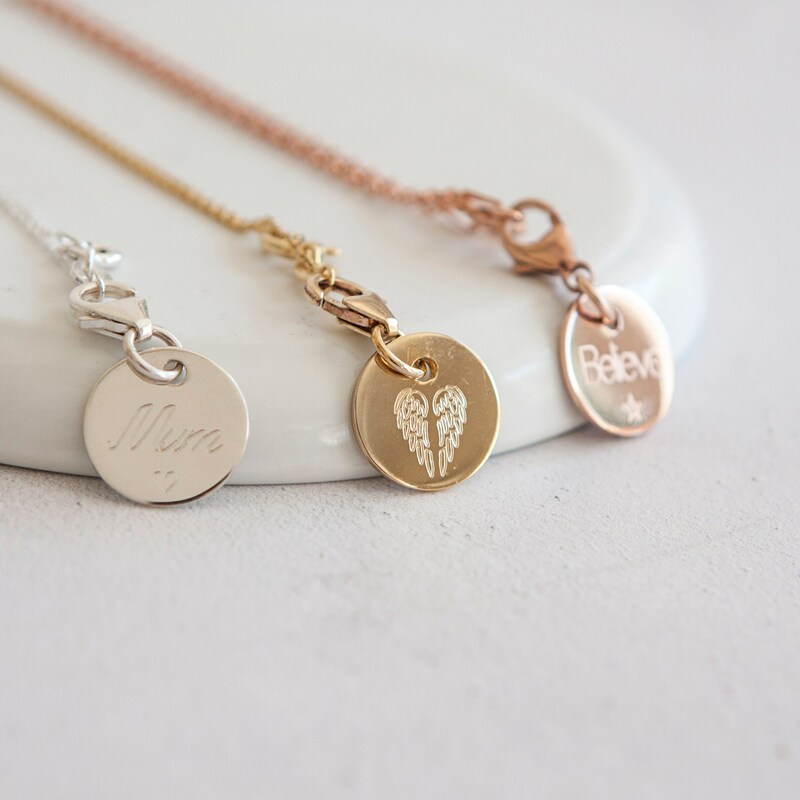 The necklace has a screw top, to allow you to add a small token of ashes to the inside of the locket, the pendant comes complete with a stainless steel chain. 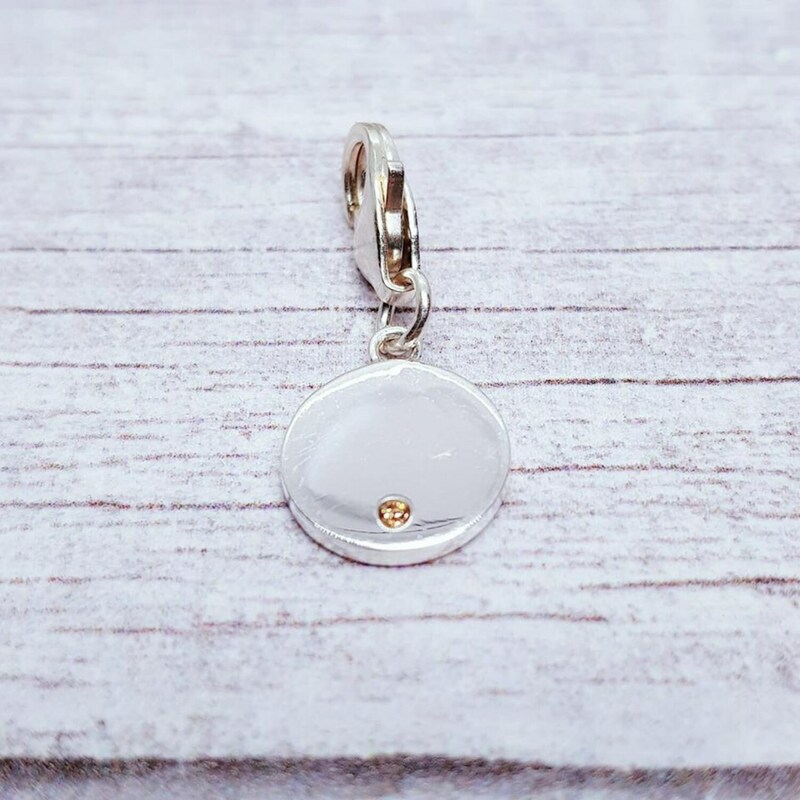 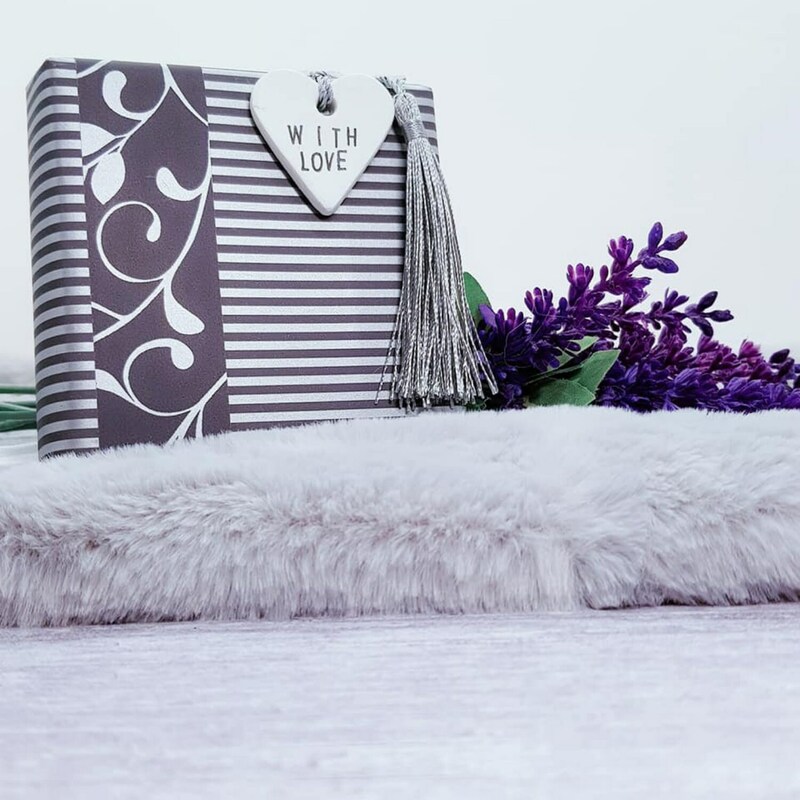 This piece includes complimentary engraving for up to 40 characters on the rear (Spaces ARE classed as characters, so please let us know the inscription and, if applicable, your preferred location and layout that you would like in the message to seller box at the checkout).